The purpose of this document is to describe how to configure PhenixID server for federation with SAML2 using NetID Access Server as an authentication method for PhenixID server. NB! This authenticator IS NOT shipped with the product. Please contact PhenixID support for more information on how to download and install this authenticator. 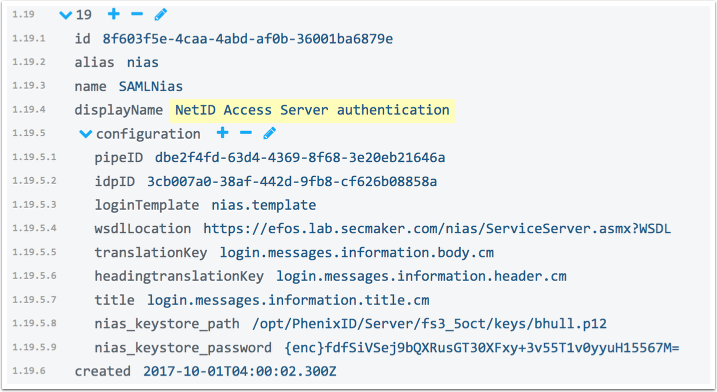 NetID Access is a client/server solution with the exact same flow as BankID to serve use cases such as out-of-band SITHS/EFOS authentication and signing, based on a smartcard or a mobile certificate. 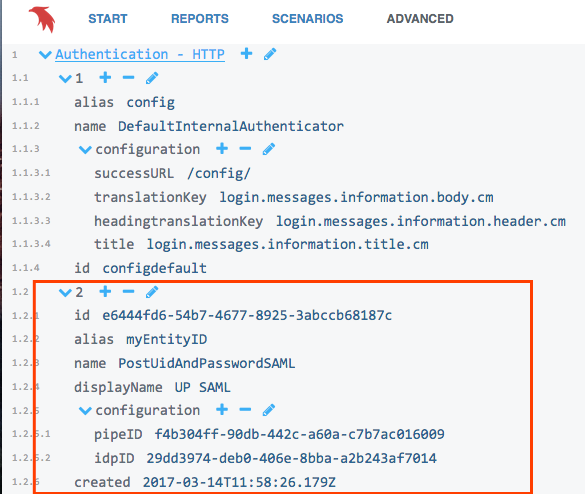 Change the value of the name parameter from "PostUidAndPasswordSAML" to "SAMLNias"